Badly exposed photos: no more! Once I read in a comment posted in some photography poll about HDR vs Black & White stylized photos, “I prefer B&W: why would anybody like a photo that looks like you’ve been rubbing vomit on it?”. Apart from considerations about the poll in itself, which was in my opinion kind of flawed at its core and sort of nonsensical, I kind of agree that most HDR photography is very much like the result of some sickening spewing. 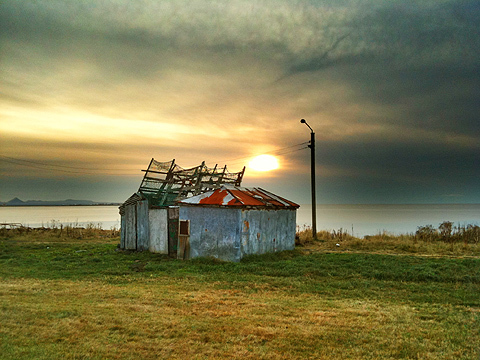 HDR photographers tend to overdo, to overload their photos, ultimately making them look very ugly. But HDR in itself is not the devil. 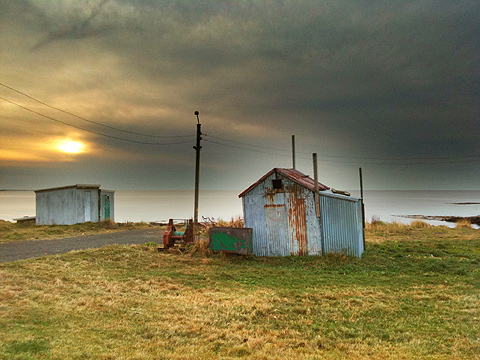 In its original form HDR is a technique that permits to overtake some serious difficulties caused by limitations in the actual medium – the camera. Sometimes you see postcards with amazing colors in shops, photos where every detail is very neat and clear and the colors are so vivid. You’ve probably wondered how much effort does it take to take shots like those. Well, sometimes what you see is not done in camera, but it is the result of a smart post-processing which, very often, involves HDR. 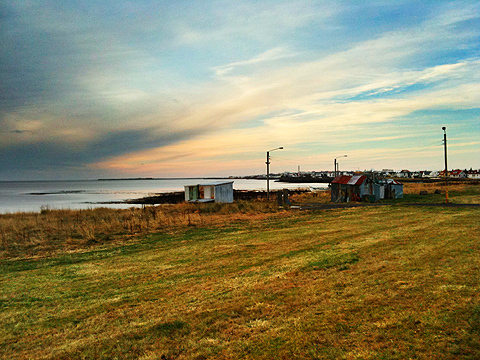 HDR, or high dynamic range imaging, is nowadays a technique that digital photographers know well and use very frequently. It basically consists in taking more shots of the same subject, each with altered parameters, and then merging them. Usually a couple of shots, one under-exposed and the other over-exposed, are enough. There are all sorts of tools and facilitation that have become very common over the years to help the photographers to obtain HDR images with no effort at all. Apple users also have their own available in the App Store. Let’s see what Pro HDR for iPhone is capable of. 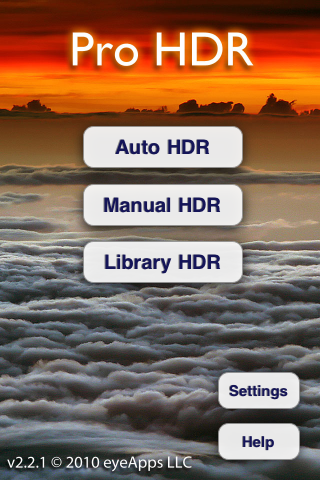 The app offers three different typologies of HDR processing. The manual and the automatic are similar: both work with the built-in camera and the effect is applied right after taking the photos. The automatic HDR is probably the easiest one, as it only requires the user to keep the camera in a still position – though some very slight movement doesn’t cause much bother – while the app analyzes the light conditions and automatically takes both over- and under-exposed shots. 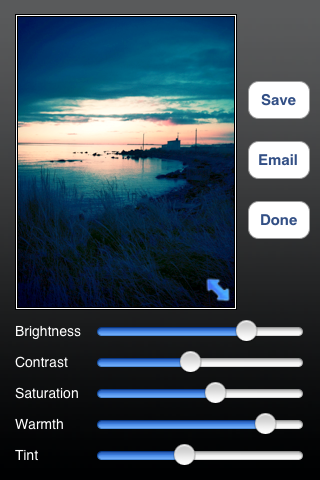 The manual mode is similar, but the user is required to tap on the screen for locating light and dark areas. This allows more control over the final results, but it doesn’t actually make much difference from automatic mode, most of the times. The library mode permits to use photos from the camera roll, but of course you have to have both the under-exposed and the over-exposed versions, and both photos must be of the same resolution to be recognized. Adjusting the parameters after the shots are processed will let you come up with very nice-looking results, sometimes even better than what you’d expect from a mere iPhone shot. You can then save or send the photo via email. Normally, using the default camera, you’d end with very dark photographs where no detail is clearly visible and the colors are very dull. As you can see, Pro HDR really makes a difference here, as it lets you have perfectly exposed photos even in the less inviting weather conditions. 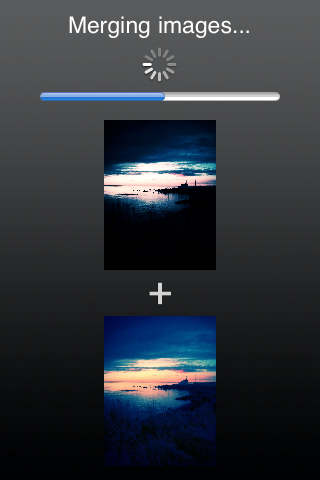 Pro HDR, if used wisely, is one of those apps that can actually help you improve your photos. 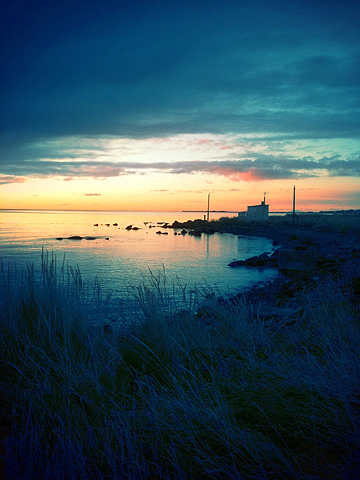 This app is a must-have for any iPhone photographer! I agree that this app is very useful. Some photos you take with the apple camera when you are in nice spots are usually crap when you look at them, while with this you can have amazing results. I don’t understand ppl wh don’t like HDR!